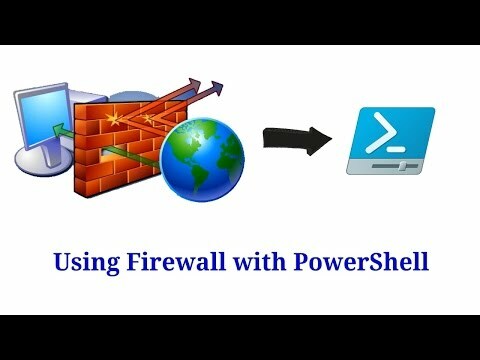 In this video tutorial, we have cover, how we can use Windows PowerShell to create new Firewall Rules, check old rules, change their properties and if needed, we can also delete them, though we can do all this using netsh tool, but windows can remove this feature from Network Command Shell. In this video tutorial, we have cover, how we can use Windows Command Prompt to create new Firewall Rules, using Windows Network Shell Command, knowns as `netsh`. You will need it when you wanna create some custom rules for given computers, because in that situation you can put all your commands in single batch file and just double click it. * What is Command Prompt? 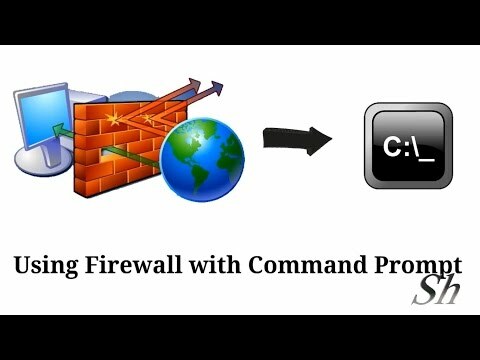 * How to create Rules in Firewall using Command Prompt or cmd? In this Video tutorial we will take a look at, How we can use Windows Firewall to block internet traffic for some or all installed software's in your Computer. This is very Important and should be done, when you think your Computer had been Infected with some Worms or Virus, Until you remove that thing. Hello Friends, Today I started my own Youtube Channel, with hope so that other can learn about computers, OS and programming, i will write subtitle in English Language as well for Peoples who does not Understand Hindi Language, maybe i will start new Channel with English Audio as well, So Friends, Go ahead and Please, Do Subscribe to my Channel.